An extraordinary and unique mixed-use development unlike anything seen in downtown Minneapolis. 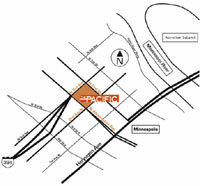 The Pacific Block is ideally located directly at the downtown exit from Interstate 394 and near the Mississippi River providing exceptional views for the new residential towers to be built. This project is situated in the rapidly growing area of the Warehouse District which is the center of the burgeoning housing and condo market in Minneapolis. We are in the latter stages of approvals for new modern structures designed to accentuate the historic charm of the area while adding a new essence of style to the skyline. Our development is distinctive to Minneapolis in that it will consist of a range of complimentary uses that include a luxury hotel, luxury condominiums, retail, restaurants, a fitness facility and spa, all joined by an internal parking garage with a green roof plaza. 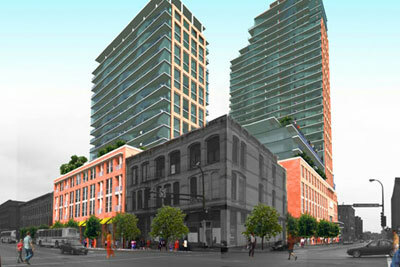 Gramercy Commercial Group assembled the block and the development team, also signing a New York developer to back the project. Interested parties needing a leasing brochure or other information can contact us.